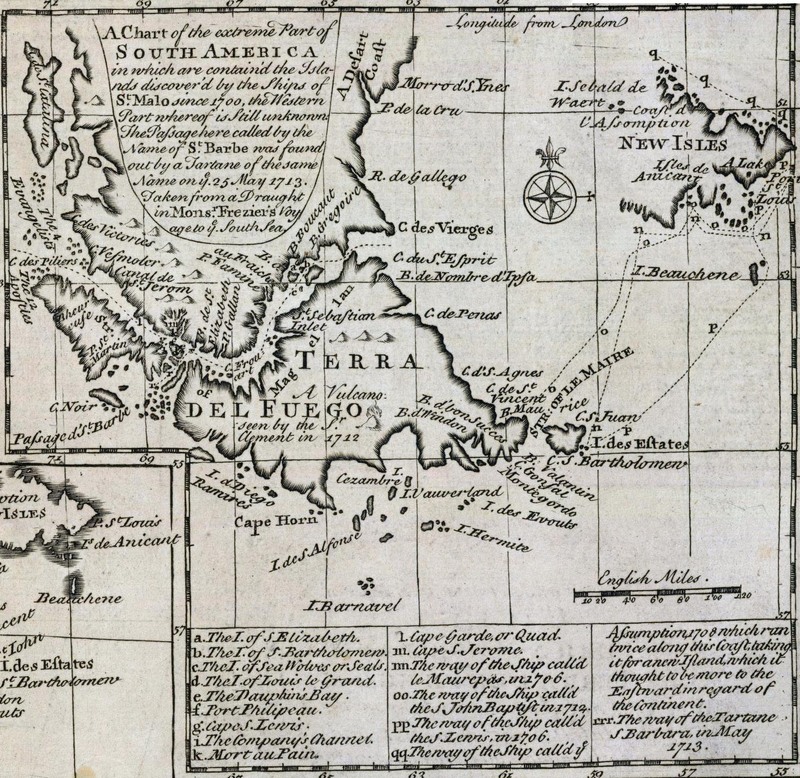 This map was published in 1747 by Emanuel Bowen. The key on this map throws some interesting light onto the early history of these islands. It refers to the islands being discovered in 1700 by ships from St. Malo. This explains the name of St Malouines which will be used by the French and then adapted into Spanish as the Malvinas. As it is, the author has merely called them the 'New Isles' for want of a better name although seems to acknowledge the use of anicant as an alternate. The Sebald's make an appearance but only for a small outcrop from the north-west of the main archipelago. It goes on to say that the shape of the main islands is unknown, hence the detail falling off on the western side of the archipelago. The author understands that they are a major collection of islands, but the scale does seem to be significantly generous. 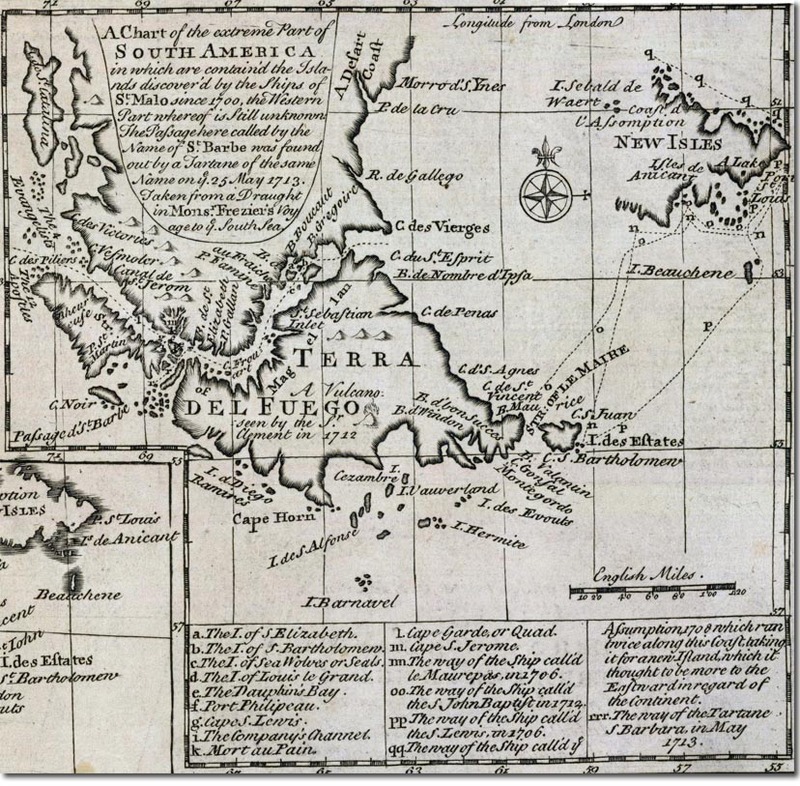 It charts some of the voyages made by early 18th Century explorers. It is interesting that the name Port St. Louis has been marked on the map decades before the French actually arrived to establish a settlement. It also notes a source of water. Perhaps it had been identified as a suitable harbour at this point much as Anson had already taken an interest in the bays and anchorages of the islands.